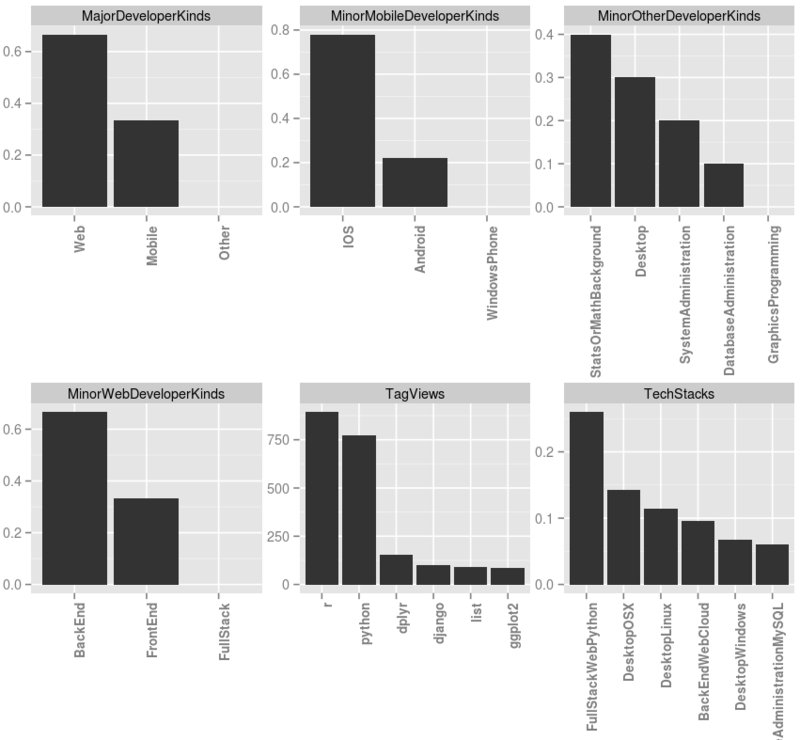 A while back (2 months ago or so), I found a JSON data dump of Stackoverflow's analysis of me as a user. It included information as to how the site perceived me based on my activity (ie. full-stack programmer). I'm unsure if I found this data as a result of the 2015 survey, my SO profile, or my SO Careers profile. Does this sound familiar to anyone? Does anyone know where I can find this data again? You can get to it by going to the Edit Profile and Settings tab on your profile, then Preferences, then the Manage personalized predictions link at the bottom of the page. Not the answer you're looking for? Browse other questions tagged support personal-data . 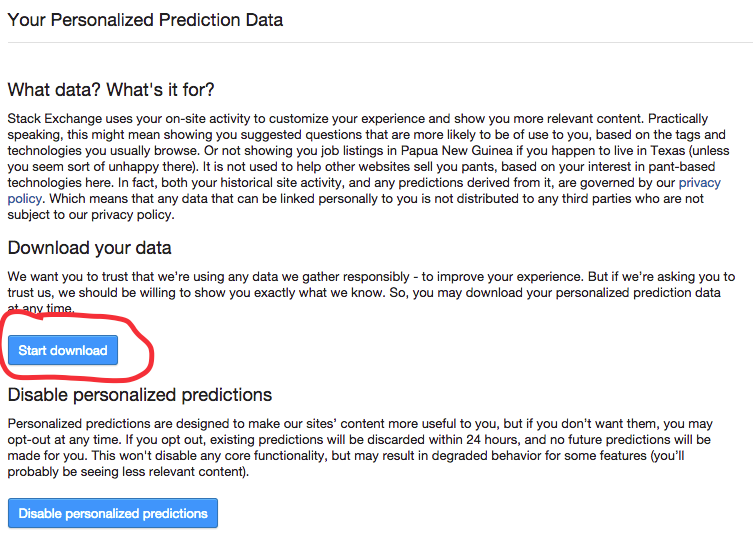 Does a user's personalized prediction data include all tags? Did someone use Stack Overflow data in a bad way? Can someone explain the parameters tracked by “Personalized Prediction Data”? How frequently is Personalized Prediction Data updated?